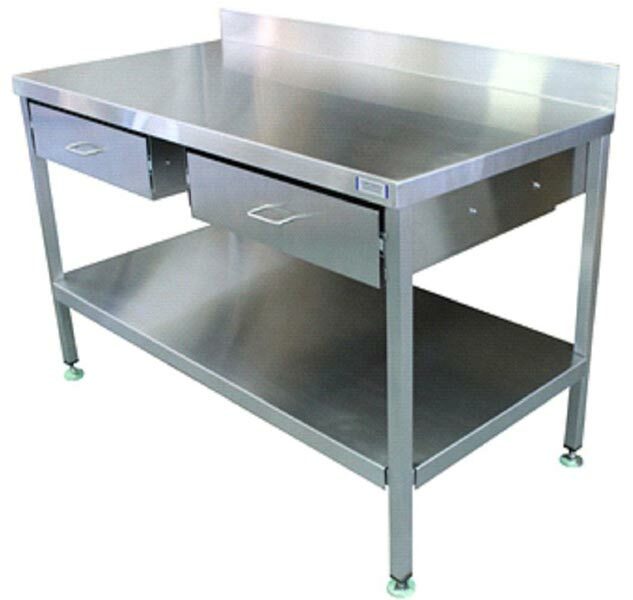 Stainless Steel Double Drawer Table finds extensive usage in biotech, chemical and pharmaceutical industries. 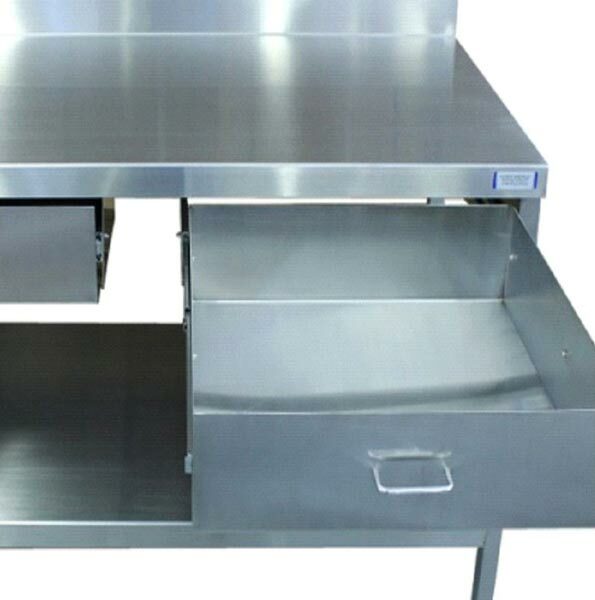 The name of our company surfaces prominently among the trusted Exporters and Suppliers of Double Drawer Table. It is manufactured using 304 stainless steel that is easy to keep clean and corrosion resistant. Our Double Drawer Table is fully TIG welded and features a clean-brushed finish. The drawers of the table are mounted with heavy-duty ball bearing slides for smooth and quiet operation. Swivel locking casters and full under shelf are provided with Double Drawer Table on demand. Our Double Drawer Table is known for its electro polished finish.